Gotta Get Down on Friday…. As STL Craft Beer Week draws to a close, we get some awesomeness in the shop AGAIN! Take a look. TXT to 314-399-9339 for holds. Include your name! 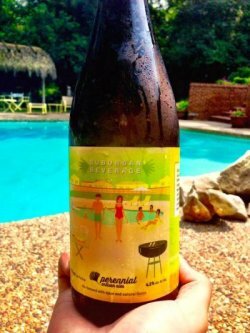 Perennial Suburban Beverage – LAST TIME! For the last time this year 🙁 we got some more Suburban Beverage. This is the super limited Gose with Lime. Awesome beer! SWEET!! It’s in cans now! Introducing Urban Chestnut’s Sweet-Tart Variety Pack, including three first time bottled beers! Whether you prefer sweet or tart, these 8 beers are perfect for any taste! Look for it in stores soon! Perdedor: Perdedor is a “tribute beer” to a classic 90s alt-rock hit. Sip, sing, enjoy- “Soy un perdedor…I’m a Lemon-lime Lager so please don’t spill me…got a couple of couches…sleep on the love seat”. Bären Weisse: Swirl it, waft it, now close your eyes and think strawberry. Ahhh! There it is! And yes, it is subtle, but the “beeren” in the weissbier provide a soft aroma and light sweetness on the tongue. The addition of strawberry to this wheat beer makes for a wonderfully refreshing summer ale. Ku’damm: Drink it ‘straight’ to appreciate the light tartness…Or repeat these words “Ich bin ein Berliner” and add a bit of elderflower, raspberry, or black currant syrup just as they do along Kurfürstendamm. BAP: BAP has a double meaning. It’s UCBC’s interpretation of the classic bier style from the city of Köln…Kölsch… and it’s the name of the most famous rock band that calls Köln its home. The bier (not the band) is a warm-fermented golden ale, that is then cold-conditioned, taking on many characteristics of a lager. 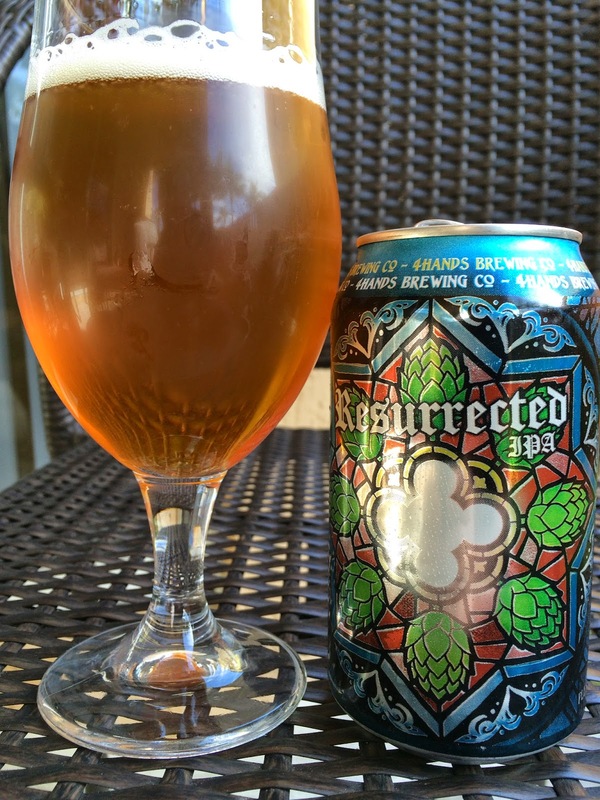 4 Hands Resurrected IPA BACK AGAIN!! 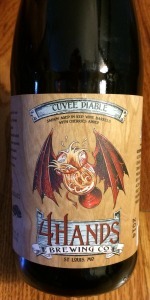 4 Hands Cuvee Ange – EXTREMELY LIMITED! Cuvee Ange was inspired by the French Oak wine barrels that once housed all French wine varietals. Fermented with wild yeast and aged in a combination of Cabernet, Merlot, and Grenache barrels with raspberries and blackberries, Cuvee Ange is a fruity, tart, and complex ale. Cuvee Ange pours a bright rose with aromas of fruit, funk, and wood.